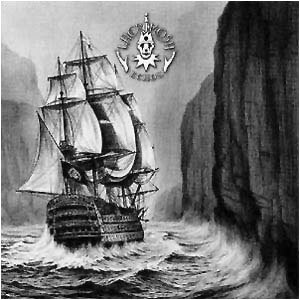 After the single song "Durch Nacht und Flut", which made one to expect something very new - maybe even more melodic future from LACRIMOSA, comes now an album, which is again prooving that any kind of expectations in advance are made to be topped, when we are talking about LACRIMOSA. With compositions like the nearly 13-minutes Orchestrawork "Kyrie" or the last work, a Requiem for three Gambes and Piano called "Die Schreie sind verstummt" sets "Echos" the definite highlight into the 13-year history of this extraordinary band so far. Starting an album with a long symphony (Overture), which takes one's breath away is surely not the best way of selling CDs, but it's the only way to take a proper entry into this album, by forgetting everything else around you and being leaded by beautiful melodies and choirs. Carried away from the bombast, the single song comes as a relief in it's light brightness. Never before has Tilo Wolff been singing so strong, so clear and so pure and full of emotions like on each of the songs on this album from which one can make a picture of the enourmous talents of this great composer, arranger, orchestrator and singer. Best examples, when one can hear how emotional Tilo's singing really can be on the border of real pain is to be heard on "Sacrifice" and "Die Schreie sind verstummt" (=The screams are silenced), one can vividly imagine being in the situation told on the songs. The only english sang song "Apart" is sang by Anne Nurmi, which is in all it's minimality concentrating in expressing the most inner feelings by using perfectly to the sound fitting instruments like melodrom. On this album each song could stand alone as they all have a story to tell, but they also fit perfectly together as they build an unbreakable chain.